A new, portable invention which generates water from thin air could benefit water-scarce areas worldwide. Currently in the development phase and seeking crowdfunding, the Fontus water bottle takes in moisture and turns it into water using a condensation system and solar power. The present version is geared towards sports enthusiasts looking to carry less weight. The unit relies on the airstream of a moving bicycle to help draw air into the system. Don’t get too thirsty though: the current incarnation of the Fontus produces less than half a liter of water per hour – and that’s only if it’s exposed to extreme heat and high humidity. 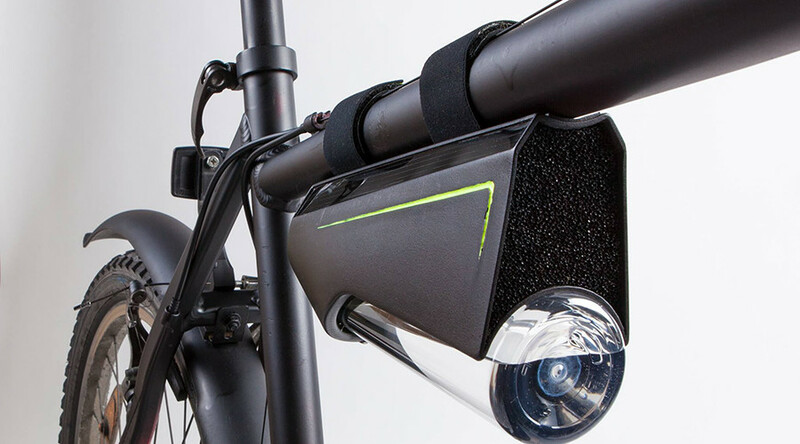 Here is a self-filling water bottle that turns air into drinking water. Austrian creator Kristof Retezár told LiveScience he hopes to raise funding to improve his invention and develop a model that will cost less than $100. The bottle could potentially benefit 1.2 billion people who live in water-scarce areas globally. "We’re thinking about making a bottle that also has a carbon filter, and this one would be for cities or areas where you might think the air is contaminated. But originally, this water bottle was thought to be used in nature, and places where you wouldn’t have contaminated air," the inventor told LiveScience. Fontus takes its name from the Roman God of wells and springs. Retezár hopes that with enough funding it could be on the market in nine to ten months.